Amcanu, like many local engineering companies are keen to get involved in this pathfinder project, which is set to be a world first. 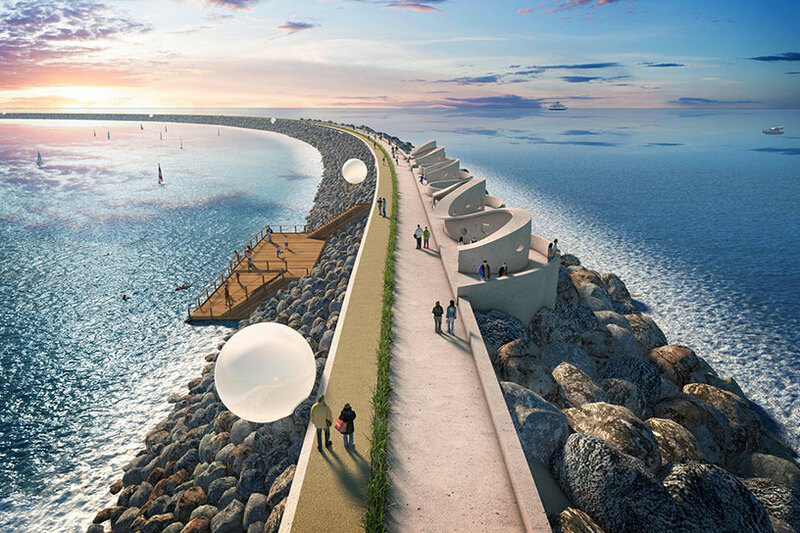 If the project is successful, Tidal Lagoon Power the company behind the project are set to build five more much bigger lagoons. A tidal lagoon is a ‘U’ shaped breakwater, built out from the coast which has a bank of hydro turbines in it. Water fills up and empties the man-made lagoon as the tides rise and fall – electricity can be generated on both the incoming and outgoing tides, that’s four times a day, every day. The project was awarded a Development Consent Order in 2015 and is ready for construction. It will comprise 16 hydro turbines in a six mile breakwater wall, generating electricity for 155,000 homes for the next 120 years. Amcanu’s specialist experience is designing and manufacturing sound attenuation enclosures to house electrical equipment. We’ve already designed and manufactured enclosures that sit by the sea – we hope to have the opportunity to use this experience and join other UK-based engineering companies as part of the Tidal Lagoon supply chain.